“Do you remember when…?” The beginning of so many conversations about Whiteman’s Department Store. It was the site that created many memories for many people in Camden, and with the many changes occurring it is a treasure trove of the old town. 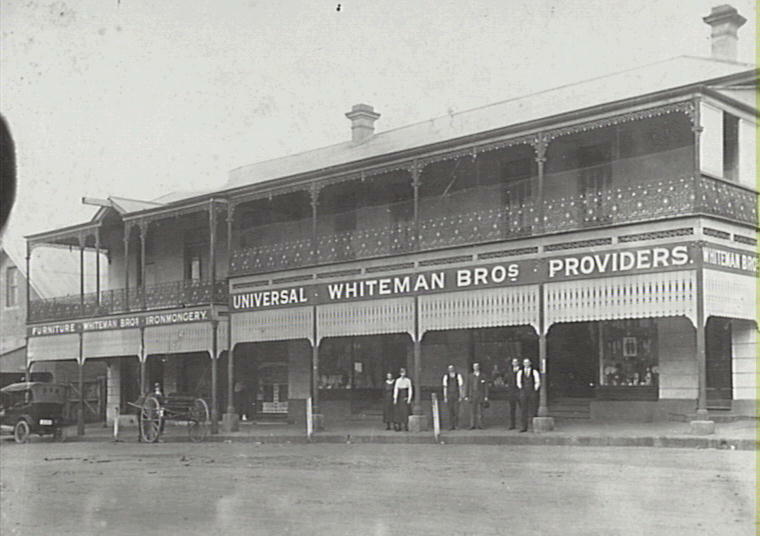 Do you remember when Whiteman’s opened? Perhaps the most iconic Camden business, it was started by two brothers, George Spencer and Charles Thomas Whiteman in 1878 as a farm produce store. It would pass through four Whiteman generations and employ many Camden residents. 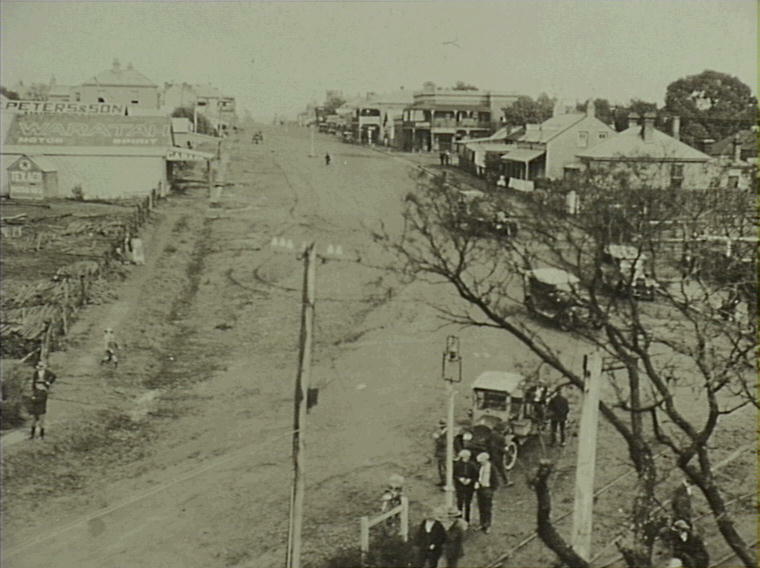 Whiteman’s quickly became the heart of the town. The stores originality and longevity added to it being not only the “centre of Camden’s business activity” but also as “a meeting place where friendships were made and sustained” (Wrigley, 2007). 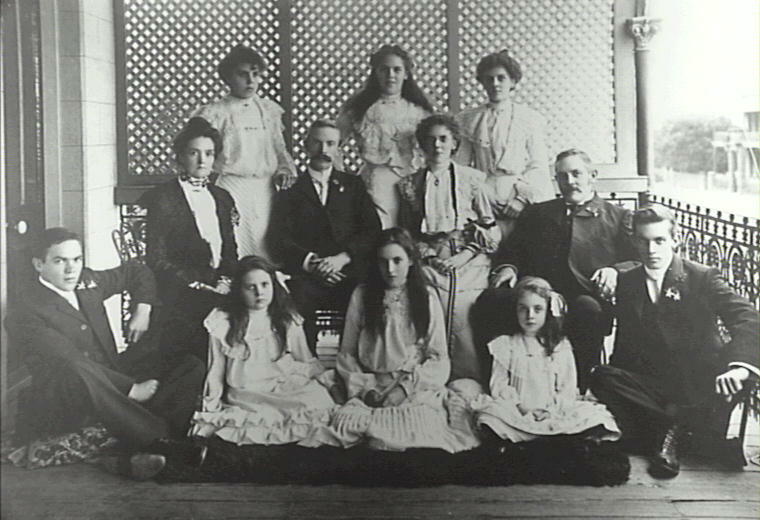 The original Whiteman family. Charles Thomas Whiteman seated middle row, far right. 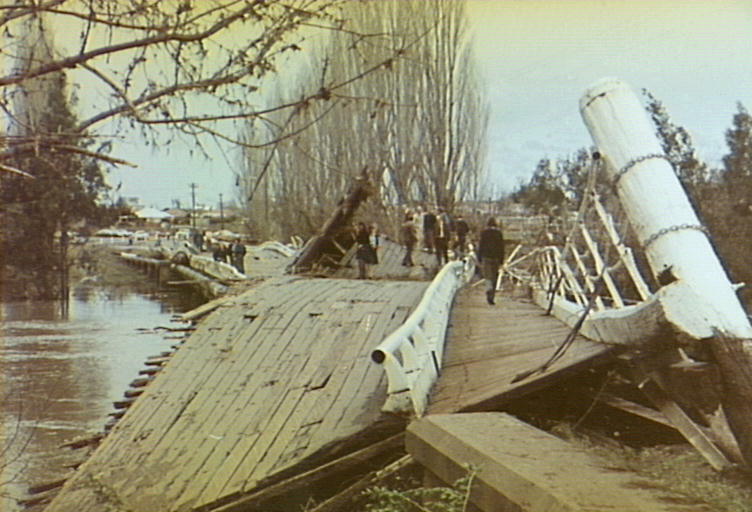 Copyright: Camden Historical Society. Do you remember when the staff at Whiteman’s were a “happy family”? 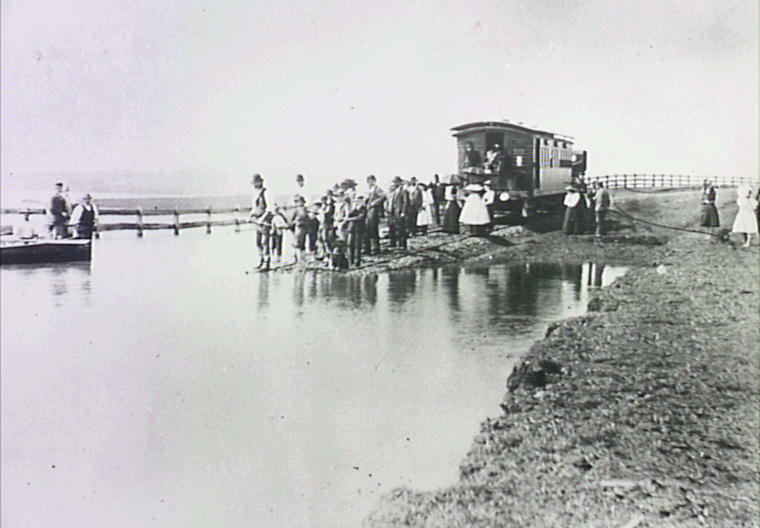 Andrew Whiteman recalls how his family took pride in the long association with staff, who would work there for many years. Pauline Hamer, one of the many long time employees, remembers Mr. Whiteman, whose hallmark was with fairness and concern for his staff (Walker, 2007). It was a common feature for longtime staff to teach and nurture the new additions with patience and care. Joy Faulkner recalls, on her first day in 1958, that although leaving home with plenty of time, she found herself waiting at the wrong door. Once finally let in, Keith Whiteman remarked with a friendly smile, “you are late”(Walker, 2007). Last days. 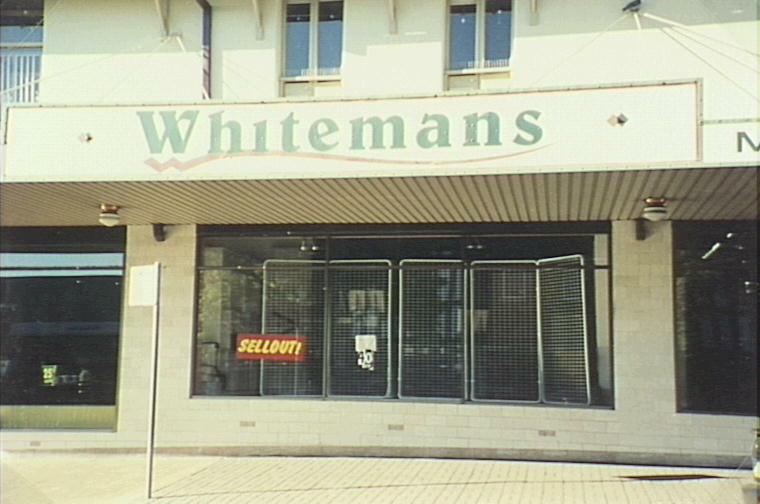 Whiteman’s closing down in 2000. Copyright: Camden Historical Society. Whiteman, J. (2009). Oral history interview with Penny Sexton. Walker, G. (2007) Memories of Whiteman’s. 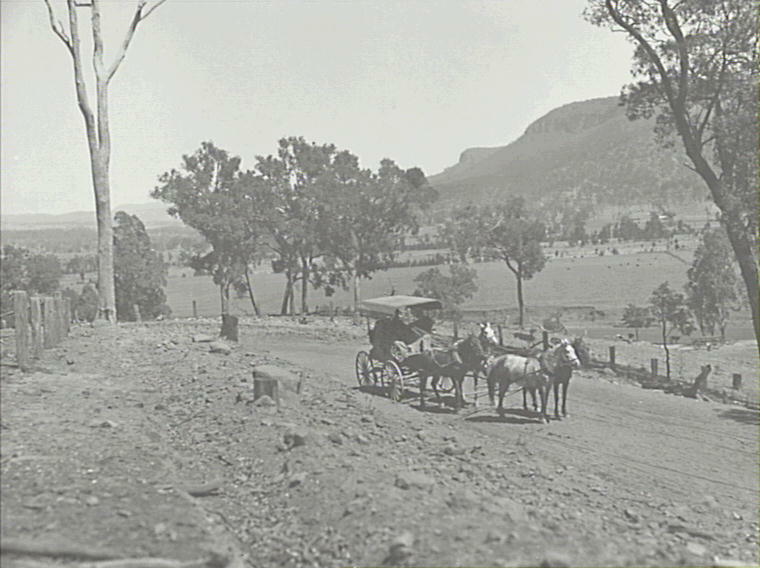 Thirlmere, N.S.W. : C. Davies. Wrigley, J. (13.07.2007) Memories of Whiteman’s department store.